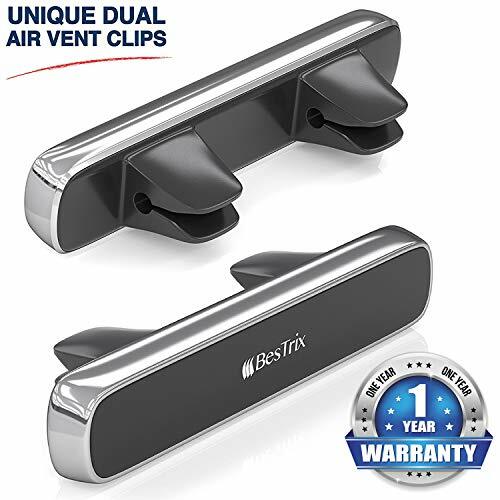 Is your car’s air vent build from straight blades (horizontal/vertical)? Is your air vent minimum 2.5″ wide? 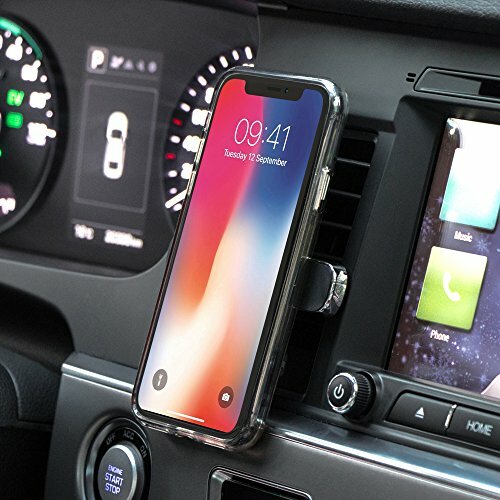 Are you tired of all plastic cradle arms hiding your cd slot, suction cups that don’t stick to your dash, large and clumsy car mounts that barely ever holds your phone? 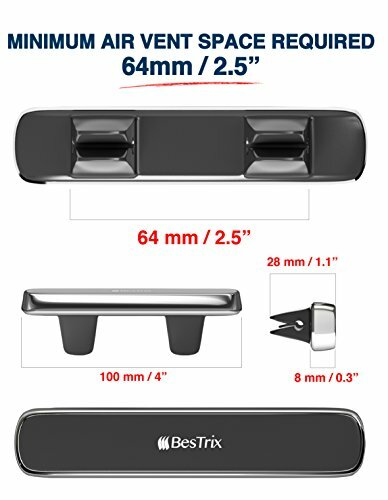 Introducing BesTrix new smart and improved design patent for Air Vent Magnetic Cell Phone Car Mount. The Elegant and luxury design combined with the best materials insures you and your phone a safe and smooth travel. 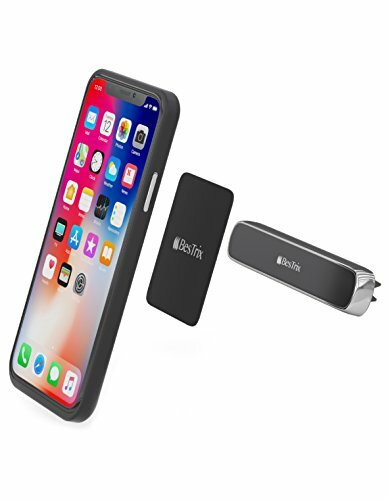 Strong ABS, metal frame, silicon surface with 4 magnets underneath producing an intensive force of attraction that will hold any smartphone or mini tablet. 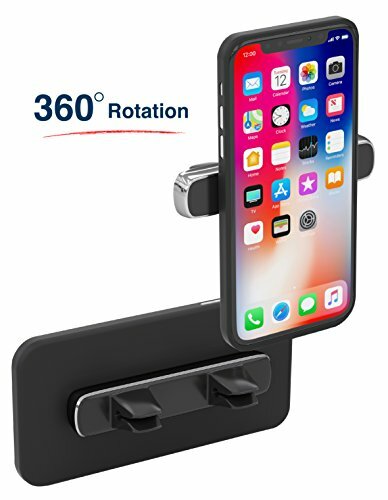 Due to the magnetic force it is very easy to swivel your phone 360° with only one hand! No need to stop the car to adjust the mount. 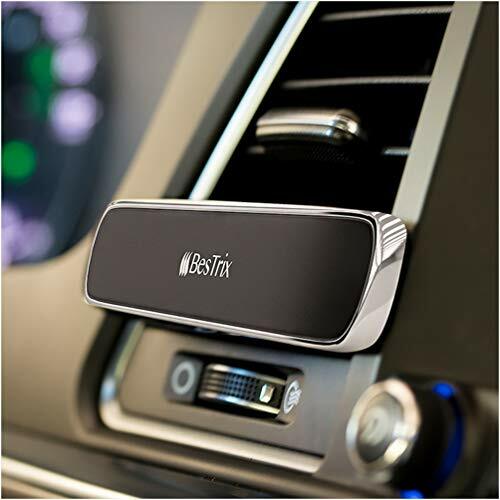 Costumer service is very important to us, there for you get a lifetime guarantee for your purchase, feel safe to purchase the product and return it if you don’t like it, but we are positive you will enjoy this product!✅【Elegant & Luxurious Design】Our new patented design Air Vent Magnetic Car Mount – Small, Portable, Strong – giving your air vent a unique and luxurious look and an easy 360° rotation of your phone display. 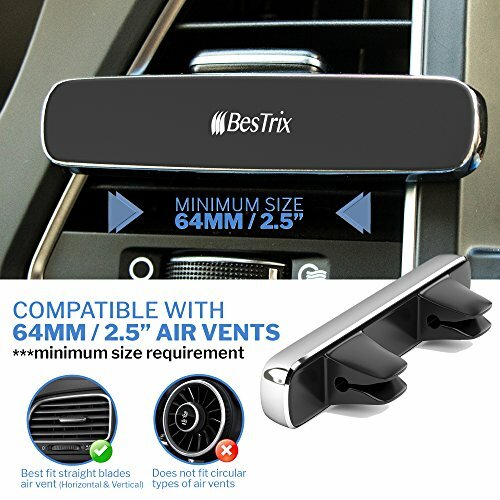 PLEASE READ THIS BEFORE PLACING AN ORDER: The Bestrix Magnetic Air Vent phone holder’s measurements are compatible with all air vent straight blades (horizontal/vertical) over 2.5″ wide (64 mm) The product width is 100 mm. If you have a thick phone case please consider placing the metal plate on the outer side of the case (Otterbox not supported). Wireless charging is not working when using the metal plate. 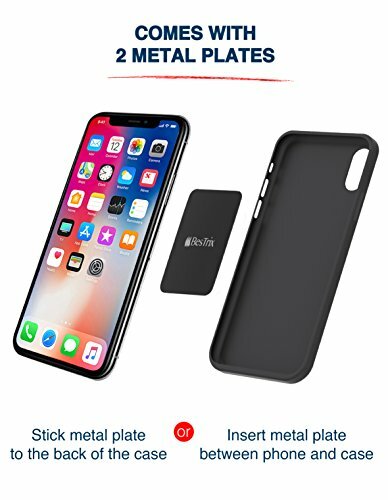 ✅【High Quality and Durable Design】This unique product is made with the best innovative materials- a high-quality ABS so your vent won’t get scratched, metal frame, and a quality flat silicon keeping your phone safe from scratches! 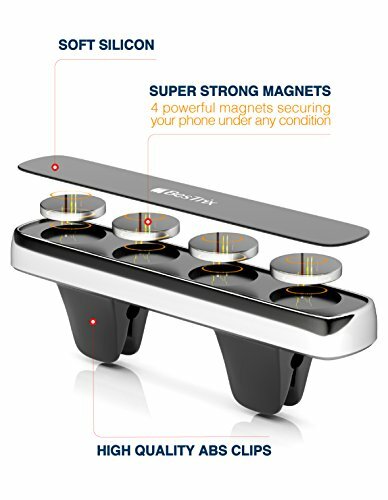 ✅【POWERFUL MAGNETIC FORCE】4 strong and quality magnets, under the silicon surface, holding your phone and keeping it safe through every bump on the road, giving you and your phone a smooth ride, in order to achieve this great result you will receive 2 metal plates – just place one between your phone and your case and you are ready to go! ✅【Universal Compatibility】Compatible with all smartphones and mini tablets up to 7″.